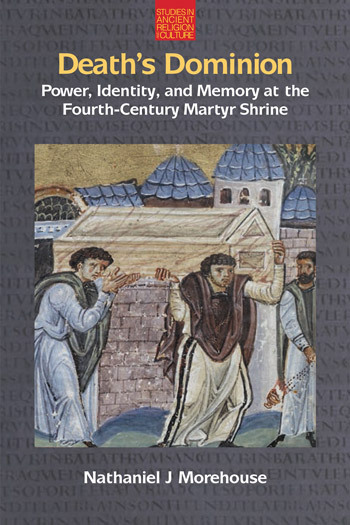 Through a discussion of power dynamics with a critical eye towards the political situation of influential Christian leaders including Constantine, Damasus, Ambrose, and Augustine, Death’s Dominion demonstrates the ways in which these individuals sought to craft Christian identity and cultural memory around the martyr shrine. Other recent scholarship on the martyr cult has conflated issues of the early fifth century with those from the early fourth, with little discussion of the development of the martyr cult during the intervening decades. Death’s Dominion corrects that omission by presenting a diachronic focus on the development of the martyr cult in the pivotal fourth century. During this period the martyr cult was repeatedly a decisive tool for the augmentation and solidification of civil and religious authority.